Tree swallow nestlings at most study sites in the Great Lakes basin were minimally exposed to organic contaminants. The diet of tree swallows (Tachycineta bicolor) primarily consists of aquatic insects from surface-water bodies like lakes and rivers. These insects can contain contaminants from the sediments where they reside. 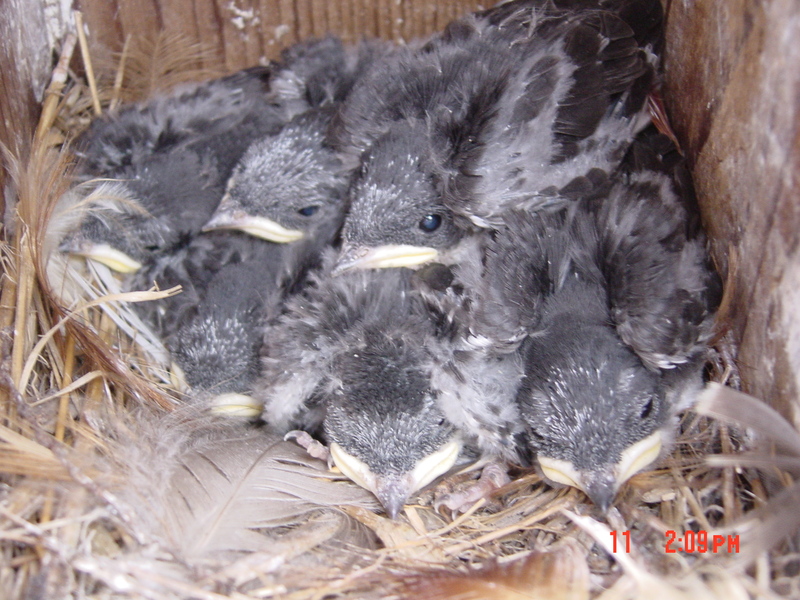 The measurement of the contaminants present in tree swallow nestlings and their stomach contents is one way to determine if dietary exposure to contaminants is of sufficient magnitude to have adverse effects on bird populations. The objective of this study was to use tree swallow nestlings to quantify current exposure to organic contaminants across all 5 Great Lakes, including 69 sites within 27 Areas of Concern (AOCs) and 9 nearby non-AOC locations. The 1972 Great Lakes Water Quality Agreement designated AOCs as geographical locations where human activities have caused significant beneficial use impairment. Nestling tissue, plasma, and stomach contents were analyzed for polychlorinated biphenyls (PCBs), polybrominated diphenyl ethers (PBDEs), polycyclic aromatic hydrocarbons (PAHs), and perfluorinated compounds (PFCs). These contaminants were selected because they are listed by the AOCs as contaminants of concern, tend to persist in the environment in association with sediments, or are known or suspected to cause reproductive issues. Scientists determined that concentrations of contaminants in nestlings and their diet (stomach contents) were below the mean concentration of non-AOC reference sites at most of the 27 AOCs investigated. These findings are important because concentrations of these chemicals were used to designate AOCs and can be used by States and the U.S. Environmental Protection Agency to assess ongoing restoration activities intended to reduce wildlife exposures to these contaminants, which, if exposure is high enough, can cause deformities or reproductive problems.